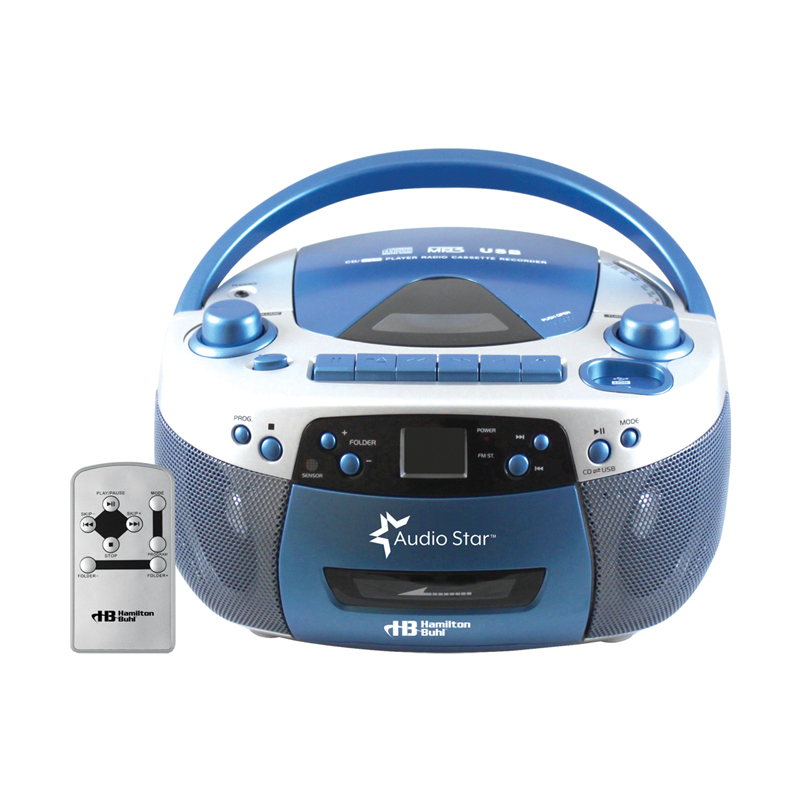 The HamiltonBuhl HACX-205 Top-Loading CD/MP3 Player with USB is built to deliver the latest audio technology to the classroom in an easy-to-use package. With the ability to play recorded media including CD-R, CD-RW and MP3 files on CD-R and CD-RW media and through the USB port, this media player features 3W amplifier and built-in speaker delivering crisp, clear sound to small groups. Built for long-term use, this classroom-proven and teacher-approved player is a great addition to your classroom. 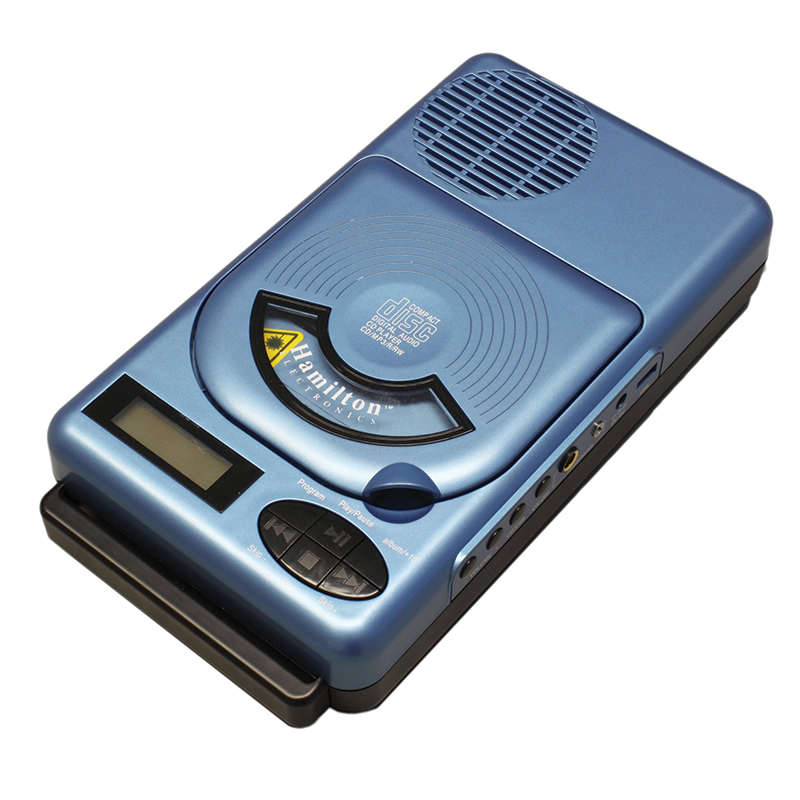 The Portable Cd Mp3 Player can be found in our Listening Devices product category within the Audio/visual. The durable Hamilton HACX-205 Top-Loading Portable Classroom CD Player with USB & MP3 provides a great way to deliver clear audio sound to small groups. It's perfect for the classroom and ideal for giving music lessons. The top-loading CD player supports audio CDs, as well as CD-R and CD-RW discs. 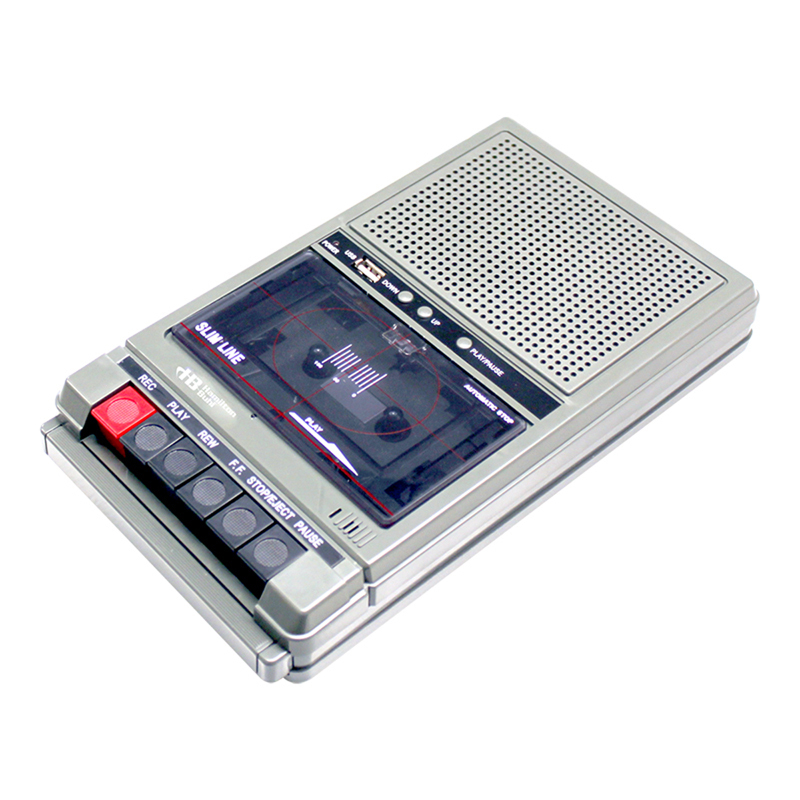 Plus, there's a built-in USB port that allows you to play MP3 files loaded onto USB Flash drives. The stylish design features a backlit LCD track display, a 3W amplifier and an integrated speaker. There is one 1/8" stereo audio output and one 1/4" stereo audio output. Both can be used for connecting headphones and/or jackboxes. For added durability and convenience, the HACX-205 has CD anti-skip technology and digital push-button volume controls. Plus, it can be powered by the included 6V wall power adapter or by four C batteries, which aren't included. Supports CD, CD-R & CD-RW Playback. Built-In USB Port for Playing MP3 Files.